Description: I have heard a most unsettling rumor, a rumor that has kept me up many nights without sleep. In fact, my mood has worsened from delighted to extremely happy. Description: What a momentous occasion! We have come so far since the first issue so many years ago. 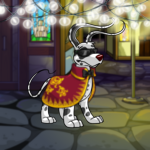 Neopets has a list for everything you can think of somewhere on Neopia.